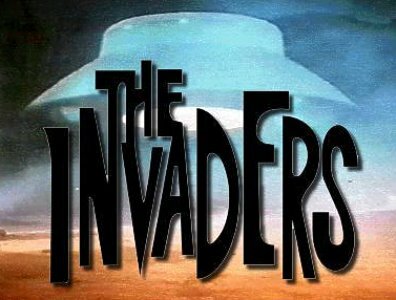 THE INVADERS…..A Green Party Production? Following on from my last blog “Why are the Green Party behind the felling of Harthill Copse?” Well the answer is NOW very clear….they want to turn us into Aliens….oh yes my friends…..many hours in darkened rooms, communally sharing food and watching documentaries on “Peak Oil” and “The Power of The Community” has convinced them that WE BRITISH are more Alien than err… Cubans? The new battle for planet Earth is down on the allotment plot…..The idealistic “invasion of the body snatchers” and their philosophy is simple……Re-localise the food system or die! And woe and betide anybody who thinks allotment gardening is to be confused with leisure allotmenteering….we’re talking about maximum productivity. It’s a potent mix, steamrolling over every other social and environmental values….”Reduce food air miles at all costs” I hear them cry……and bugger the poor farmers and their families in Egypt supported by us buying tomatoes in the middle of winter and bugger our wildlife too! Cut the trees down and let’s get farming…..
We are at War and a great social experiment is taking place on the plot…..and my theory is it’s not just in Liverpool….allotments up and down the country are being infiltrated by idealistic Greens spewing rhetoric at anybody who’ll listen. Game on….The Invasion of the body snatchers is well under way! 1: Why on earth would any allotment committee fight against its own members for three years and then have the audacity to take the matter of two and a half plots (Harthill Copse) to the secretary of state if there was not something political behind it? 2: Who in their right mind would evoke an archaic and ‘wooly’ allotment law from the 1920’s designed to protect entire allotment sites from development to reinstate two individual plots if there were not a political agenda behind it? 4: Why didn’t the committee close the waiting list as other sites have done well before? We all know the waiting list IS NOT a true reflection of the numbers of people wanting allotments (one person can be on many lists!) and WHY if the committee is SO committed to reducing the list do certain members farm more than one plot?….in some instances one allotment holder can have three or four plots!! 5: What is Liverpool City Councils policy and strategy for allotments? Guess what…..you’d be hard pressed to find one and thats one of the reasons we’re in this position now! So what exactly have the Green Party got to do with all this…..well I explained that in my last blog on the subject. And this on its National website: “Life on Earth is under immense pressure. It is human activity, more than anything else, which is threatening the well-being of the environment on which we depend. Conventional politics has failed us because its values are fundamentally flawed” …….doesn’t stop its ‘Green’ members campaigning to fell 50 trees in Harthill Copse though; Err…methinks there’s some flaw in that argument then! 01 Feb	This entry was published on February 1, 2010 at 9:00 pm. It’s filed under allotments, Politics, Rants and tagged 2010, aliens, allotments, battle, biodiversty, body, calderstones, campiagn, committee, copse, council, destruction, environment, felling, globel, green, harthill, invaders, law, liverpool, merseyside, park, party, philip, plot, political, snatchers, the, tree, trees, tv, uk, warming, wildlife. Bookmark the permalink. Follow any comments here with the RSS feed for this post. Newer: Blog my breakfest why dontcha?